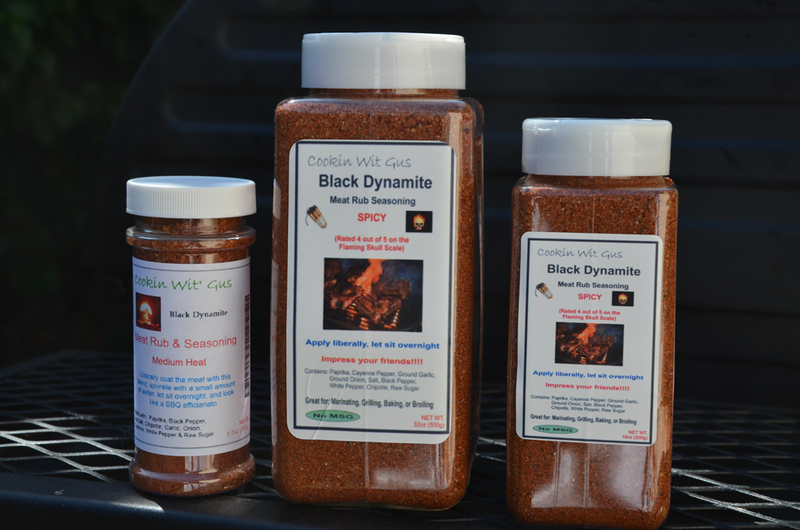 Seven seasoned rubs for barbecue meats, salads, soups, gravies, and whatever you like. 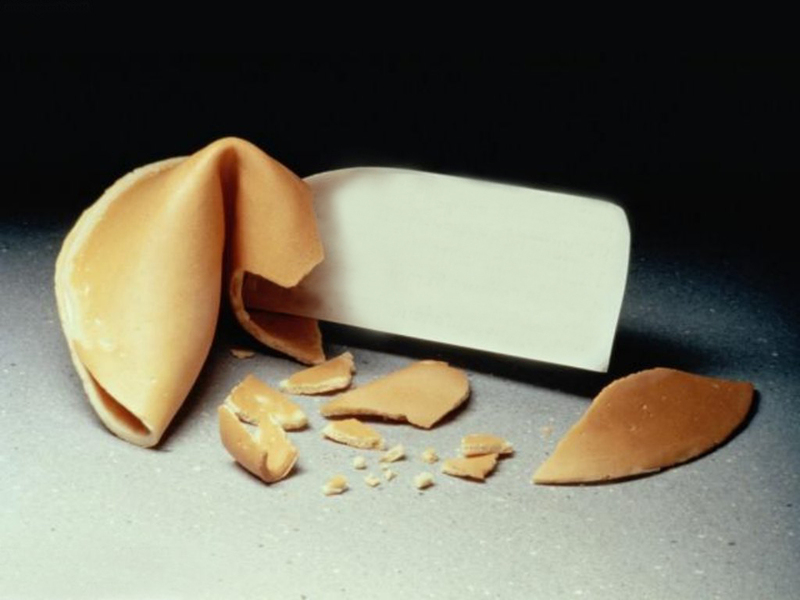 These are all our own recipes carefully crafted to deliver exceptional flavoring to whatever you like to cook. 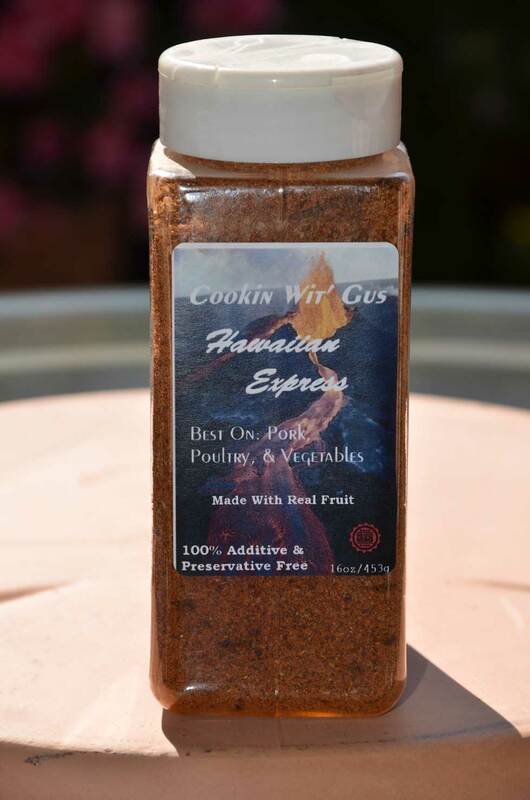 These rubs are all natural and contain NO artificial preservatives. The Cuisine of Hawaii is a fusion of many foods brought by immigrants to the Hawaiian Islands, particularly of American, Chinese, Filipino, Japanese, Korean, Polynesian and Portuguese origins. 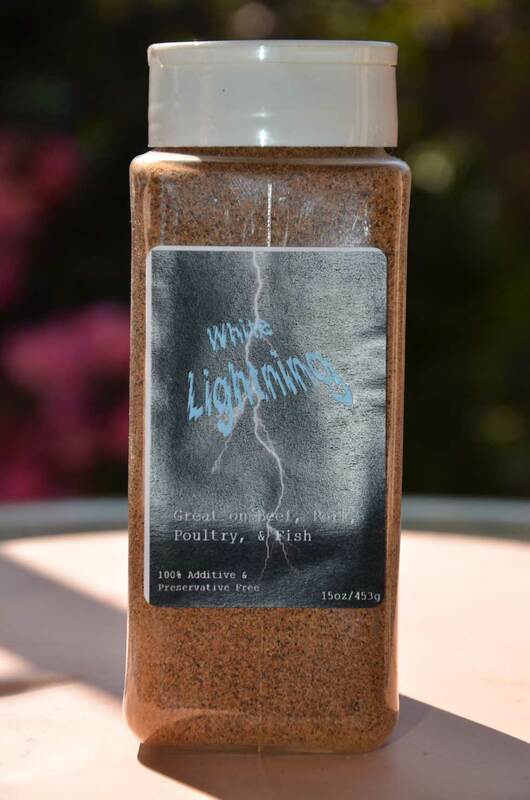 We have crafted a rub that encompasses them all. 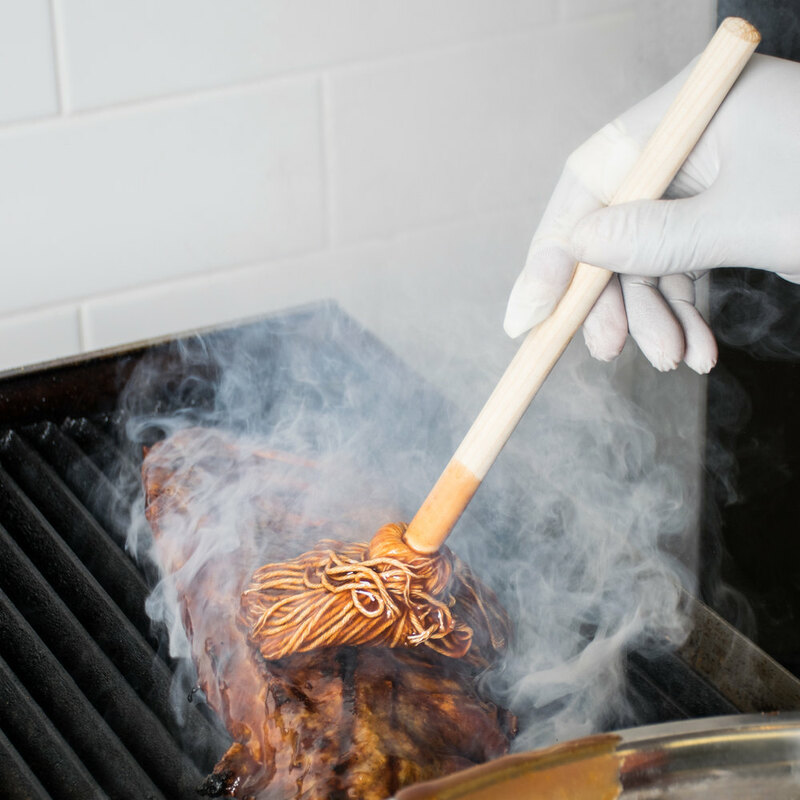 This rub can be applied to the meat and taken directly to the grill or allowed to soak into the meat over time and then grilled. 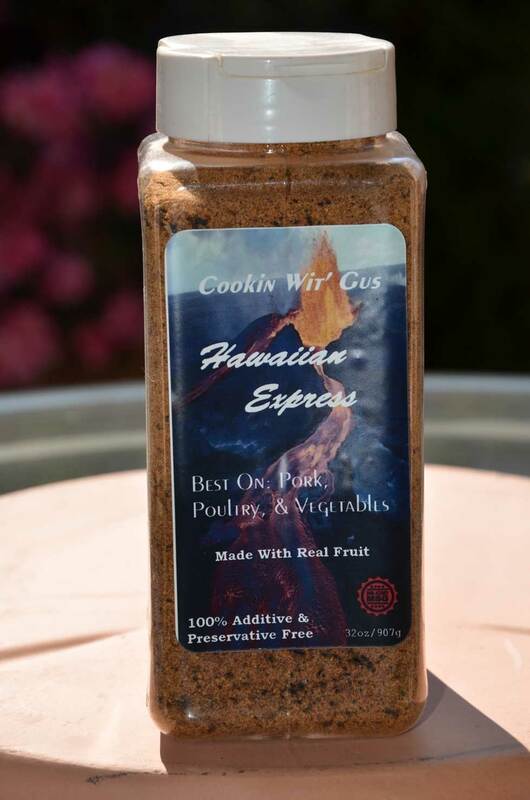 You can also use this rub at Luau's where traditional foods would be pork, poi, salmon, tropical fruits, and taro chips. The dehydrated fruits release their flavors into the meat when you let it sit a while and that's how we use it. 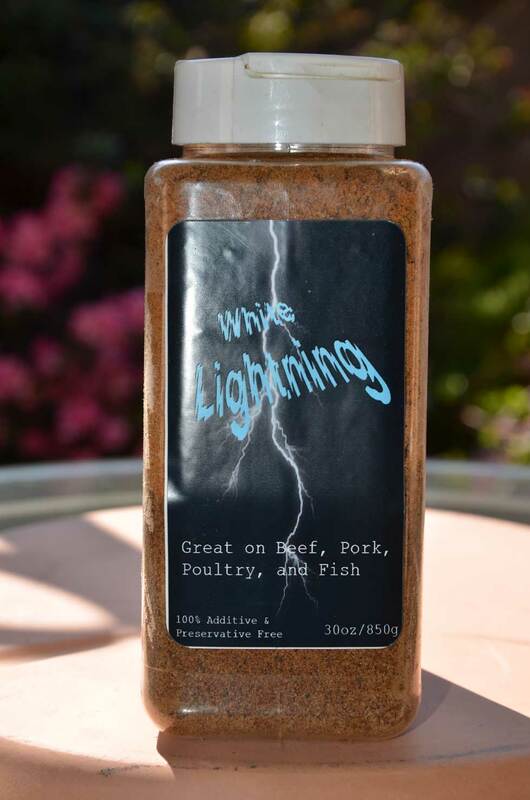 And VERY important, this product is additive and preservative free so you taste the seasoning and the food !!!!! The shape of the bottles makes it easier to hold on to especially if you have wet hands, harder to tip over if someone bumps into it, and definitely will not roll around like some bottles. Available in three sizes for your convenience. 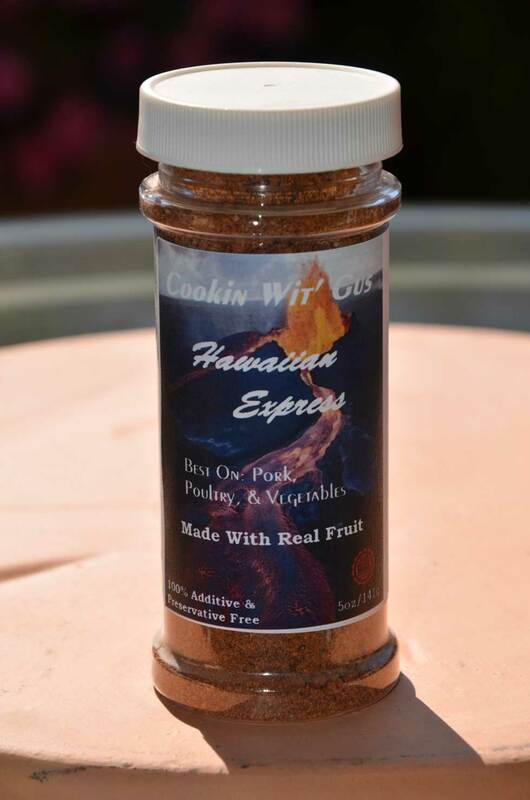 Ingredients: Hungarian Paprika, Raw Sugar, Garlic Powder, Onion Powder, Oregano, Sea Salt, Dried Pineapple, Dried Mango, Dried Papaya, Dried Peaches, Dried Oranges, White Pepper, Ginger Powder, & Makrut Lime.